Last year's Australian Open was like a flashback with Roger Federer defeating Rafael Nadal in the Finals while Serena Williams defeated sister Venus Williams. It was all set by a string of upsets including five-time champion Novak Djokovic's second-round exit. *All odds courtesy of Sports Interaction. The defending champion is the favourite despite the return of Djokovic. Federer defeated Nadal in last year's Finals to capture his first major in five years. Federer is seeded second and gets some talented players on his draw including 2009 US Open Champion Juan Martin Del Potro (12) and Canadian Milos Raonic (22). Barring any major upsets, Federer could meet Del Potro in the quarterfinals and could meet Raonic in the fourth. Should he get past everyone, he could meet Novak Djokovic (14), Stan Wawrinka (9), or Alexander Zverev (4) in the semis. Out of all these names, Djokovic and Wawrinka pose the biggest threat to Federer but they are still coming back from injury and may be rusty or pull out of the tournament altogether. Nadal is last year's runner-up and the world number one heading into this tournament. As the top seed, he gets an easy draw with Marin Cilic (6) as the only notable name in his bracket and Cilic hasn't made it out of the third-round in seven tournaments. The surging Pablo Carreno Busta (10) is a potential threat. 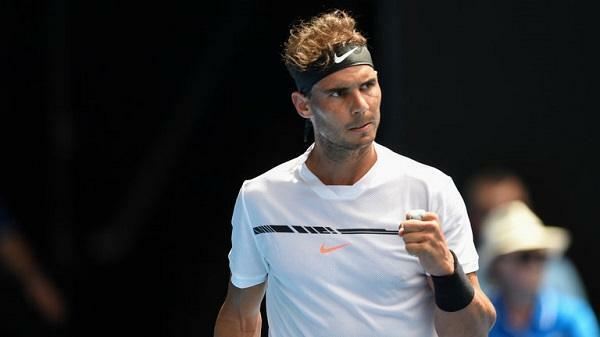 The Australian Open is Nadal's weakest Grand Slam with only one championship in four appearances. He's lost to Wawrinka, Djokovic, and Federer. Still, Nadal's path to the Finals seems the most straightforward and he'll only have to face one of the three in the Finals if any of them survive. Nadal holds some value at this price especially if all three are eliminated beforehand. The former world number-one is looking to make a vengeful comeback since his shocking second-round upset last year. Djokovic has fallen to number-14 in the rankings due to a myriad of injuries that ruined his 2017 and allowed the likes of Federer and Nadal to win in his stead. Djokovic didn't get any favours as he is in the toughest draw with the likes of Zverev, Wawrinka, and world number-5 Dominic Thiem in his bracket. To get to the semifinals, he may have to beat both Zverev and Wawrinka or Thiem and once in the semis, he could face Federer. He's not at 100 per cent but he is otherwise a tempting bet at this price. 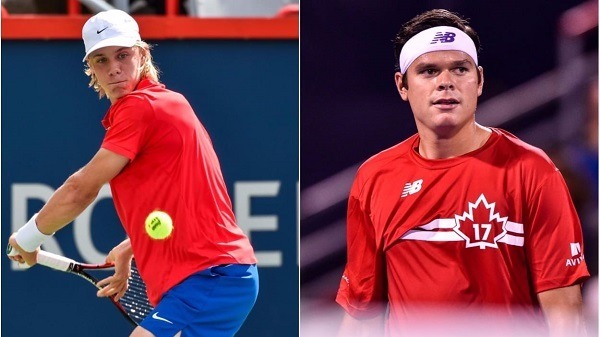 Raonic and Shapovalov have their work cut out for them, to say the least. Shapovalov is making his Australian Open debut while Raonic was injured and regressed in 2017 despite a banner year in 2016. He could face Sam Querrey (13) in the third-round and Federer in the fourth. Shapovalov was the breakout player of 2017 following his stunning upsets of Nadal and Jo-Wilfried Tsonga (15), the latter who he might face in the second round. If he pulls off the upset again, he might face Nick Kyrgious (17), whom he also beat earlier. Grigor Dimitrov (3) could be his quarterfinal opponent if they both make it that far. When Serena Williams pulled out, the women's tournament automatically became a free-for-all and as odds indicate, it's anyone's guess who emerges victorious. The top three candidates show promise although none of the three has won a Grand Slam. Halep is the top seed and could face Pliskova (6) in the quarterfinals if no upsets happen. Svitolina is seeded fourth and has a lot of dark horses in her draw like Venus Williams (5) and Sloane Stephens (13). Williams is +2200 to win losing to her sister in the Finals and coming close to winning her first Grand Slam in a decade. The unseeded Maria Sharapova is +975 to win. The 2008 champion is trying to revive her tennis career following a doping scandal that kept her off the court for most of the last two years. The Australian Open is the biggest tennis event till the summer. Canadian tennis fans head to these online sportsbooks, which all serve Canadians and offer odds on all tennis matches. Review each book before committing.